MBot, also known as Gasparzinho and Mordomo, is an autonomous mobile robot designed for social interaction. RAPOSA is a family of Urban Search and Rescue (USAR) semi-autonomous robots. 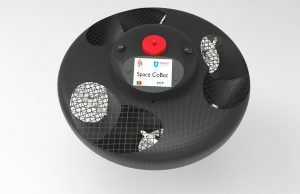 The Space CoBot is a free-flying robot, designed to assist astronauts in indoor micro-gravity environments, such as inside an orbiting space station. This is the ISR version of the CoBot concept (which stands for Collaborative Robot). The MSL ISocRob team (Intelligent Soccer Robots) is the original robotic team of the SocRob project and has evolved over the years since 1997. Public domain software developed at IRS group, in the context of research activities. Educational open source software developed by IRS group staff for IST courses (mostly Python).